This week on The Revolution with Jim and Trav presented by Outdoor Channel, we're going full tilt 2nd Amendment and we're locked, cocked and ready to rock our Handy Hardware - and here's the run-through: "American Marksman" director, Brian Tatum, Louie Tuminaro star of "The Gunfather" on Outdoor Channel, Guns & Ammo editor, Eric Poole and Scot McClure with the Dallas Ecological Foundation. Listen to the show here! Are you the next "American Marksman". Well "American Marksman" director, Brian Tatum, is here with a call to action to encourage all amateur shooters from coast to coast to try their hand at this one of a kind televised shooting competition seen exclusively on Outdoor Channel and Sportsman Channel. The primary focus of "American Marksman" is to shatter the negative stereotypes that today's political atmosphere has cast upon firearm and shooting enthusiasts and to give unity and a national platform to those who are willing to vie for the title of "American Marksman" plus the chance to win some cash. Visit www.ammarksman.com today to join the competition and to learn more about the categories, participating ranges and what all is at stake. 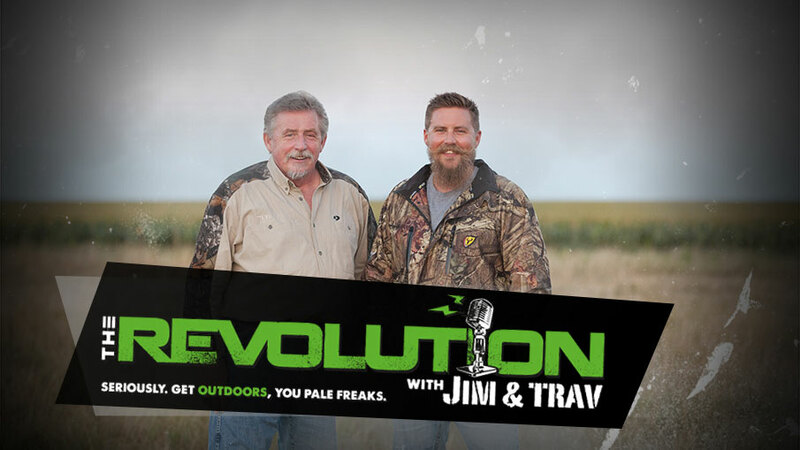 Louie Tuminaro from "The Gunfather" phones Jim and Trav to talk shop about collectible firearms, brand recognition and, of course, season two of his hit Outdoor Channel series, "The Gunfather". Being in the midst of the gun show season Louie talk about why it's high-time to double-down and pay close attention to firearm trends, because just like stocks, they could pop over night. So, whether you're in search of a mint Colt Python or a budget friendly King Cobra, Louie's got insider tips that'll surely help you seal the deal. Also, Louie says as a rule of thumb, in order to achieve the fullest potential of your initial investment, you must save the original packaging and box that the firearm came in. And in most cases, twenty to thirty years down the line, that gun will double in value. Former marine and editor of Guns & Ammo magazine, Eric Poole, discusses the benefits of shooting suppressed, the history behind suppressors and you guessed it, Guns & Ammo Magazine plus Guns & Gear TV. Eric explains that suppressors create a courteous atmosphere at gun ranges, for all participants, by greatly reducing the firearm's decibel level, and this holds especially true in an indoor or covered range. Mr. Poole also addresses the lingering fear of suppressors that was instilled in many Americans during the 1994 "Assault Weapons Ban" (AWB) during the Clinton period and why it's unwarranted. Check out Guns & Ammo here and if you've ever contemplated shooting suppressed, you won't want to miss this interview.